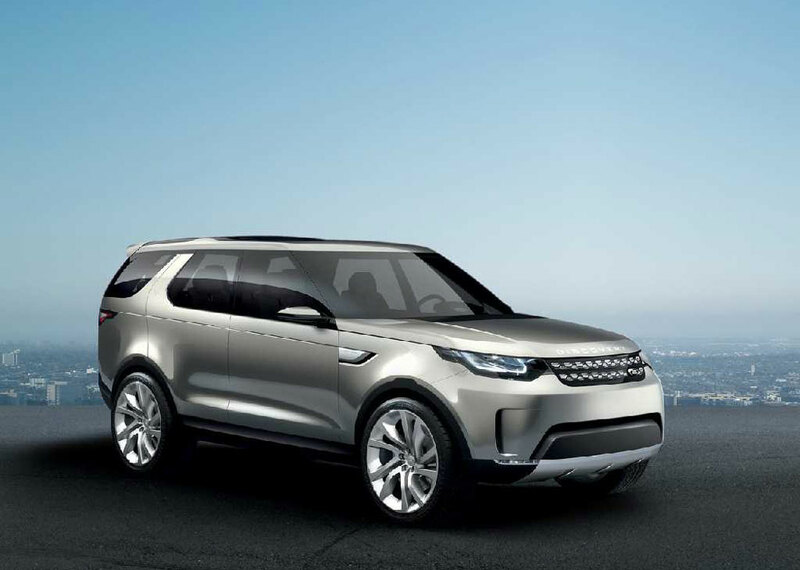 Land Rover recently revealed their latest Discovery Concept. 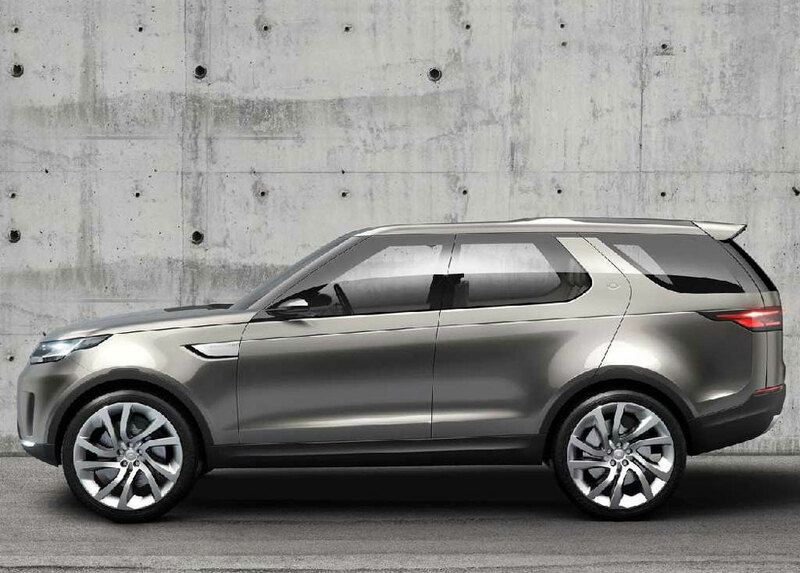 This is the vision of the automakerâ€™s future line of its Discovery cars; the very first model is expected in the year 2015. 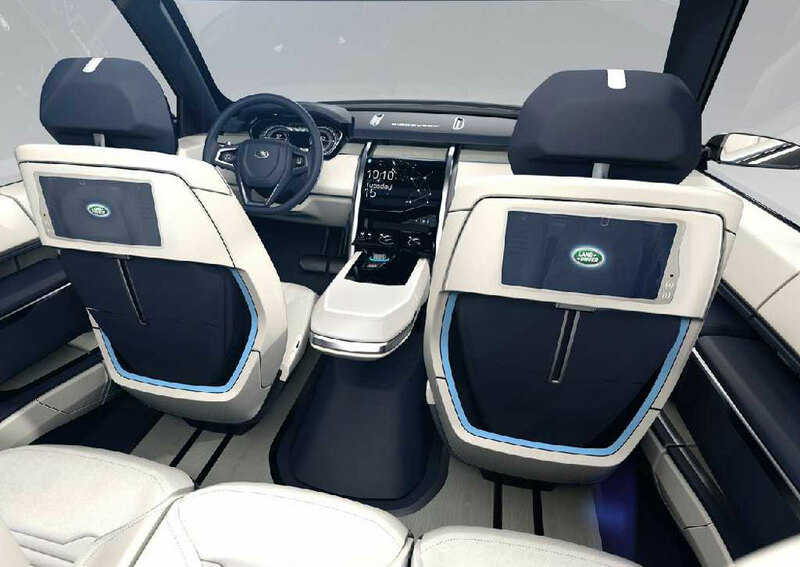 The 2014 Land Rover Discovery Vision concept alludes to its unique lineage with great design elements that include alpine lights and stepped roof. Greater attention has been given to this SUV that creates versatility combined with a compelling design. 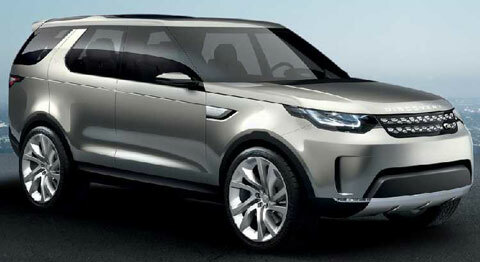 The Discovery Vision Concept gets a new V6 engine 3.0 liter engine. Power output has been raised to 208 horsepower while torque is now 385 lbs ft.
A brand new 8-speed ZF automatic transmission replaces the old 6-speed gearbox. This sends power to all the 4 wheels via the Land Roverâ€™s full-time 4-wheel drive system. This SUV retains the compact look with carefully designed elements that actually smooth out all lines across the car's exterior, but still retain the distinct Discovery cues such as alpine windows. All the headlamps are paired with the traditional LED lights and laser diodes; this emits a pure, even beam of light. This helps in adding about 300 meters viewing distance. 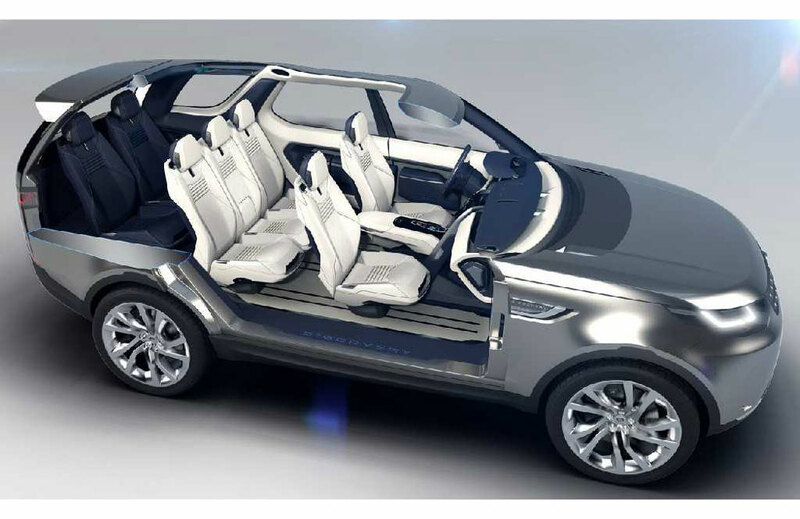 The profile of this concept is definitely Land Rover, with one high belt line running seamlessly across the coach-style doors. The car's doors are operated via a gesture, so no need for any handles; you just swipe to get the doors unlocked. The SUV is painted in a Tribeca Grey finish and rides on 23-inch alloy wheels with a bright silver finish. 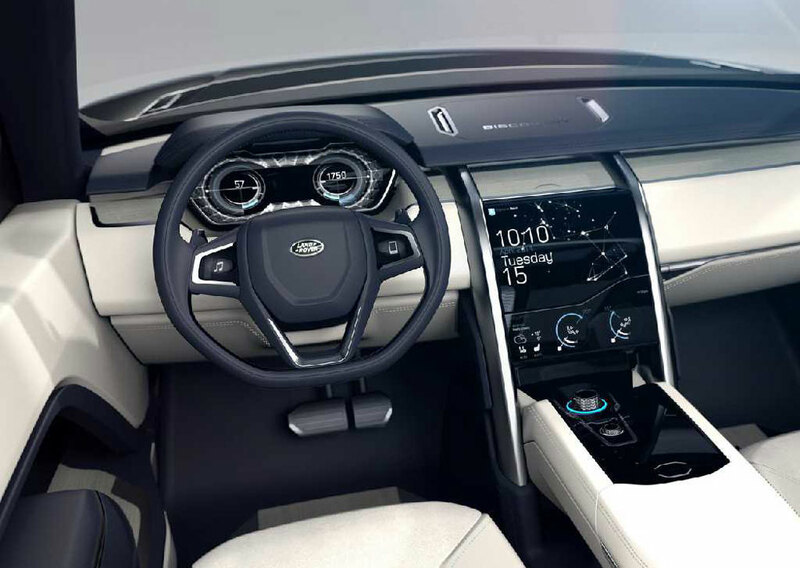 The interior is not only spacious but also versatile with a wide array of unique features. The multi-lifestyle versatility has been epitomized by highly reconfigurable seating. Inside, a touch screen menu that can be used to fold seats flat or to slide them forward or backward has been incorporated. Once the seats are folded, the car can simply be converted from a standard 7-seat to a 6-seat, 5-seat or a 4-seat 'limousine' mode. A detachable, carry-away stroller-style luggage is integrated into the car doors. This theme of versatility continues with materials used inside the cabin, which has been finished in 2 types of washable water and oil repellant leather that can be cleaned in a few seconds. To create the warm atmosphere, there are wood veneer of the floor and the instrument panel.